Free admission to watch performances by local hālau. Entertainment at the Hilo Hawaiian Hotel, 1 p.m.
Merrie Monarch Ho‘olaulea, April 1, 2018. On Friday, April 11 from 9:00 a.m. to 3:00 p.m., Ab Kawainohoikala‘i Valencia and Tim Tunison lead the field seminar “Plants of Hula: Na Mea Kanu o Ka Hula” in Hawai‘i Volcanoes National Park. “Please join us for this exciting program in celebration of the Merrie Monarch Festival, in which a kumu hula (hula teacher/master) and botanist team up for a cultural and scientific exploration of the plants used in hula,” stated Friends of Hawai‘i Volcanoes National Park spokeswoman Elizabeth Fien. From kumu hula Valencia, learn about hula plants as kino lau, manifestations of Hawaiian deities in plant form (as his Halau Hula Kalehuaki‘eki‘eika‘iu understands them). “There are plants for the hula altar, the kuahu, which include maile, ‘ie‘ie, ‘ilima, lehua, and halapepe. In addition, there are adornments—mele hula plants that are worn by the dancers—which include maile, ‘ilima, and lehua, plus palapalai, ‘a‘ali‘i, pukiawe, and ‘olapa,” Valencia explained. Participants meet at the Kilauea Visitor Center. The day begins with a welcoming oli (chant), followed by a short walk to the kahua hula—the hula platform that overlooks Halema‘uma‘u Crater, home to the volcano goddess Pele. Next the group will drive to Kilauea Overlook to discuss cultural protocols used when picking plants—and to walk among native species in their natural environment, with scientific information and insight shared by botanist Tunison. “After lunch, we’ll visit Tunison’s property in Volcano Village, where he is restoring the land to its native ecosystem. We’ll get a hands-on lesson in native plant propagation, plus receive plant seedlings to grow at home,” said Valencia. Valencia was born and raised in Honolulu, though his ‘ohana (family) was originally from Hilo. He established Halau Hula Kalehuaki‘eki‘eika‘iu in Honolulu in 1991, and currently maintains his halau (school) in Honolulu as well as Volcano. Tunison worked for the National Park Service for over 30 years. He was a Botanist at Hawai‘i Volcanoes National Park from 1982-1994 and Chief of Resource Management from 1995-2006, when he retired. Since then, Tunison has taught field botany, native plant propagation, and forest restoration. This event is presented by the Hawai‘i Volcanoes Institute, a program of the Friends of Hawai‘i Volcanoes National Park, a non-profit organization. Program cost is $45 for Friends members and $65 for non-members. Students (K-12 and college with valid student ID) are $25. Non-members are welcome to join the Friends in order to get the member discount. To register for the “Plants of Hula” field seminar, call 985-7373 or visit www.fhvnp.org. Anyone who requires an auxiliary aid or service for effective communication or reasonable modification of policies and procedures to participate in this event should email institute@fhvnp.org or call 985-7373 as soon as possible, but no later than 5 days prior to the program start. This program is supported in part by a grant from the County of Hawai’i Department of Research and Development and the Hawai’i Tourism Authority. The Hawai‘i Tourism Authority (HTA), the state’s tourism agency, presented The Merrie Monarch Festival, Polynesian Cultural Center and Hilo Hattie with its 2013 Tourism Legacy Awards during the 2013 Hawai‘i Tourism Conference Legacy Awards Luncheon Thursday at the Hawai‘i Convention Center. All celebrating 50th anniversaries this year, the 2013 recipients are recognized for their long histories of perpetuating the Hawaiian culture and sustaining a “legacy of aloha” that makes Hawai‘i a special place to live and visit. 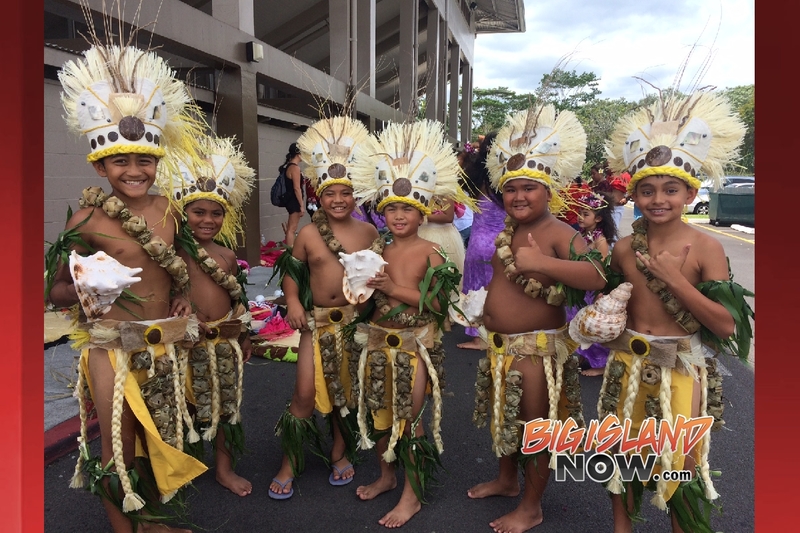 The Merrie Monach Festival is a nonprofit organization that honors the legacy of King David Kalākaua, who inspired the perpetuation of traditions, Hawaiian language and the arts. The week-long festival features an internationally acclaimed hula competition, an invitational craft fair, an art show, hula shows and a grand parade through Hilo town. The event draws nearly 10,000 visitors to the island of Hawai‘i each year. The festival is the focal point and catalyst that supports and draws an extensive network of instructional hula schools, masters, instructors, researchers and students of all ages who are committed to the perpetuation of the Hawaiian culture. The proceeds from the festival support educational scholarships, workshops, seminars, symposiums and the continuation of the festival into the future. The Polynesian Cultural Center (PCC) opened its doors 50 years ago this fall in an effort to preserve and perpetuate the host culture of Hawai‘i and all of Polynesia. Since then, PCC has welcomed more than 37-million guests, providing fun and engaging opportunities to gain a deeper understanding and appreciation of Polynesian people, their language, food, music, song and dance. Representing the islands of Hawai‘i, Samoa, Fiji, Tahiti, Tonga, Aotearoa (New Zealand) and Rapa Nui (Easter Island), PCC inspires us to celebrate the differences of each culture as well as the similarities that connect us as Polynesians and to the rest of the world. Hilo Hattie,” Clarissa “Clara” Haili, was known for her true aloha spirit and began her career as a school teacher who sang and danced her way into modern history. Hula dance Clara Inter / Hilo Hattie, Kodak Hula Show, Waikiki. The Tourism Legacy Awards, evolving from the “Keep it Hawai‘i” program, was established by the HTA to honor individuals, organizations and businesses that perpetuate the Hawaiian culture and traditions. Honorees have worked diligently to nurture the host culture creating respectful and authentic visitor experiences while securing bonds between the visitor industry and the Hawaiian community. Previous honorees included the late Dr. George Kanahele, Daughters of Hawai‘i and the Bishop Museum. The Hawai‘i Tourism Authority is a state agency established by law in 1998 to ensure a successful visitor industry and tourism economy in the state of Hawai‘i. As the state’s tourism authority, its mission is to strategically manage tourism to optimize benefits for Hawai‘i, integrating the interests of visitors, the community and visitor industry. Through the implementation of the statewide Hawai‘i Tourism Strategic Plan and HTA’s own strategic plan, the authority works to direct Hawai‘i tourism in a sustainable manner consistent with our economic goals, cultural values, preservation of natural resources, community desires, and visitor industry needs. For more information on the HTA, please visit www.hawaiitourismauthority.org, find us on Facebook or follow us on Twitter. On Saturday, April 27 from 9:00 a.m. to 3:00 p.m., Ab Kawainohoikala‘i Valencia and Tim Tunison lead the field seminar “Plants of Hula: Na Mea Kanu o Ka Hula” in Hawai‘i Volcanoes National Park. Ab Kawainohoikala‘i Valencia (seated) is the kumu hula (hula teacher/master) of Halau Hula Kalehuaki‘eki‘eika‘iu. On Sunday, April 27 from 9:00 a.m. to 3:00 p.m., Valencia and botanist Tim Tunison team up for a cultural and scientific exploration of the plants used in hula. “Please join us for this exciting program, following on the heels of the Merrie Monarch Festival, in which a kumu hula (hula teacher/master) and botanist team up for a cultural and scientific exploration of the plants used in hula,” stated Friends of Hawai‘i Volcanoes National Park spokeswoman Elizabeth Fien. “There are plants for the hula altar, the kuahu, which include maile, ‘ie‘ie, ‘ilima, lehua, and halapepe. Plus, there are adornments—mele hula plants that are worn by the dancers—which include maile, ‘ilima, and lehua, plus palapalai, ‘a‘ali‘i, pukiawe, and ‘olapa,” Valencia explained. 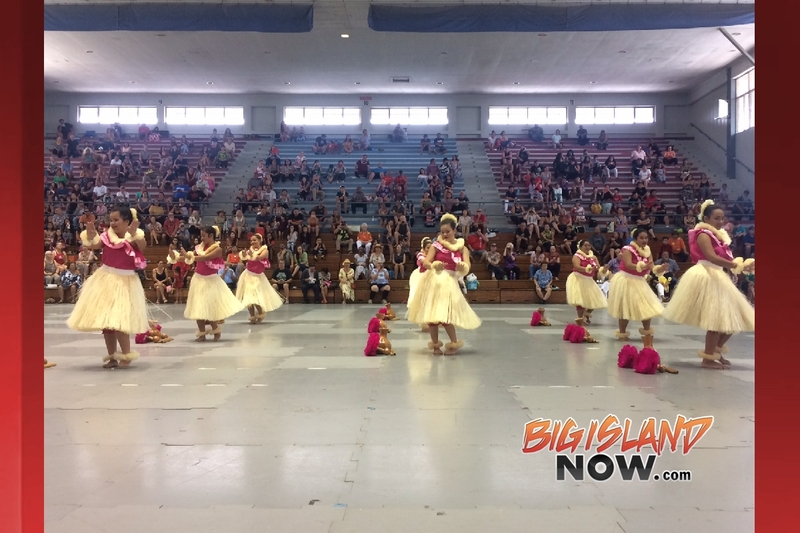 The University of Hawaiʻi at Hilo invites the public to watch the 50th Annual Merrie Monarch Festival hula competition April 4, 5, 6 from 6 p.m. to midnight on the Campus Center Plaza. The events will be shown on a large screen with 125 seats available on a first-come, first-served basis. There is no admission charge. The event is sponsored by the UH Hilo Student Association and the Office of the Chancellor. For more information, contact Rachel Nazara at 974-7500 or Gail Makuakane-Lundin at 974-7444. Hawaii Island’s most anticipated event of the year is almost here and Volcano Art Center invites you to join them to celebrate! In honor of the already sold out 50th Annual Merrie Monarch Festival, VAC will be hosting five days of special arts and cultural events from Wednesday, April 3 through Sunday, April 7, 2013. All events will be held on the lanai of the VAC Gallery, located next to the Kilauea Visitor Center in Hawaii Volcanoes National Park. Visitors and kama’aina alike are invited to experience the mauka celebration of Merrie Monarch free of charge (park entrance fees apply). While visiting the gallery, be sure to check out La‘a Ka Pa-Kapala, a collaborative art exhibit by Natalie Mahina Jensen and Lucia Tarallo currently on display through April 14. Also featured will be an old-style lei stand with a variety of flower, leaf and liko (bud) lei available for purchase. All proceeds aid in supporting VAC’s mission to develop, promote and perpetuate the artistic, cultural and environmental heritage of Hawaii’s people through the arts and education. Wednesday, April 3 & Friday, April 5, 10:00AM–2:00PM: Ohe Kapala on Gathering Bags. Join artist and Hawaiian cultural practitioner Greg West to learn the art of ohe kapala (bamboo stamping) on the VAC gallery porch. Select your own 100% cotton gathering bag keepsake and personalize your design using a traditional Hawaiian stamping technique. Free crafting demonstration; bag and materials fee of $42. Wednesday, April 3, 10:00AM–2:00PM: Artist Demonstration with Jelena Clay. Meet artist Jelena Clay as she demonstrates a variety of techniques for designing and decorating an ipu (gourd) and presents an extensive collection of her past works. Thursday, April 4, 11:00AM–2:00PM: Print and Book Signing with Caren Loebel-Fried. Meet the artist known for beautiful illustrations of the legends and myths of Hawaii. Caren will be on hand with an extensive collection of books, prints, giclees and original pieces to sign while conducting a demonstration of her finely-tuned block printing process. Friday, April 5, 11:00AM–1:00PM: Ukulele Lesson with Patrick Inouye. Join in on this free hands-on ukulele lesson taught by Patrick Inouye. Ukulele available, or bring your own for a Kanikapila-style casual jam session. Sunday, April 7, 10:00AM–2:00PM: Print and Book Signing by Dietrich Varez. Celebrate Hawaii’s most popular hula festival by meeting VAC’s signature artist. Renowned Hawaiiana artist Dietrich Varez will be on hand signing his extensive collection of over 250 prints and books he has written or illustrated. For more information, visit Volcano Art Center’s website at www.volcanoartcenter.org or contact the VAC Gallery at (808) 967-7565. A thoroughly renovated and expanded Edith Kanaka’ole Multi-Purpose Stadium was officially blessed during a ceremony held today at the prominent Hilo facility. Mayor Billy Kenoi recognized the contractors, Hawai’i County employees, and community volunteers who worked tirelessly to finish the upgrades in time to meet a rigid construction deadline. He was joined by Parks Director Clayton Honma, County Council members Dennis “Fresh” Onishi and Valerie Poindexter, former County Council member Donald Ikeda, Merrie Monarch Festival organizers, and representatives of the contractors and community organizations who worked on the project. The blessing was performed by Kahu Leifi Hao of Ka Hoku Ao Malamalama church in Keaukaha. Anchored by a new 4,200-square-foot building featuring six dressing/meeting rooms and tiled restrooms, the project has modernized a facility used for such varied public events as trade shows, school graduations, and the world famous Merrie Monarch Festival. 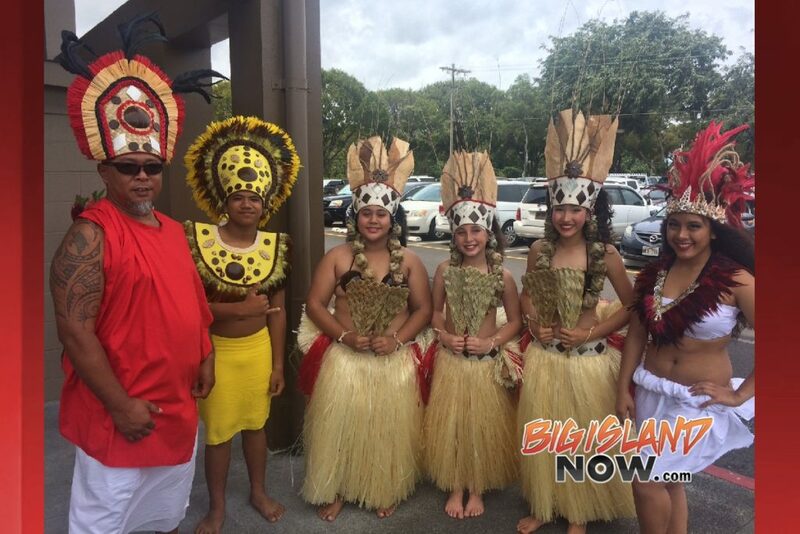 “Beyond Merrie Monarch, this is for the entire community to enjoy year-round,” Mayor Kenoi said. A new color scheme, native landscaping, new fencing, and covered side entrances now greet stadium users. Inside, the public will find an expanded lobby, a larger concession area complete with new roof coverings and lighting, and a freshly painted interior. An upgraded electrical system to support enhanced lighting and sound system capabilities, a replacement sewer line, drainage improvements, and a larger vehicle entrance are also part of the renovation project completed in approximately three months. “Everybody had to work really fast,” Mayor Kenoi said in thanking the people who helped with the project. Rapid progress by Isemoto Contracting Co. Ltd., its 15 subcontractors, and volunteers will allow the stadium to be reopened for the March 31 start of the Merrie Monarch Festival’s 50th anniversary celebration. Hawai’i County maintenance employees, electricians, plumbers, welders, carpenters, grounds crews, and tree-trimmers collectively spent more than 1,000 hours improving the stadium and the surrounding grounds. In addition to performing their normal duties, the employees’ work included replacing worn bleacher seat and foot boards, plumbing fixtures, and electrical fixtures, adding landscaping, installing new signs, and fabricating guardrails to improve the safety of bleacher spectators. Dozens of community volunteers also provided vital painting, landscaping and other facility improvements that saved taxpayer dollars. The Department wishes to recognize and thank the Jehovah’s Witnesses – Hawai’i Circuit 5 members, Hilo Jaycees, 1st Battalion 12th Marines, Hawai’i Community Correctional Center inmates, East Hawai’i District Tennis Association, Hawai’i Carpenters Union, Local 745, Hilo High School tennis teams, and tennis players from Hilo-area schools for contributing their time and efforts toward the renovations. 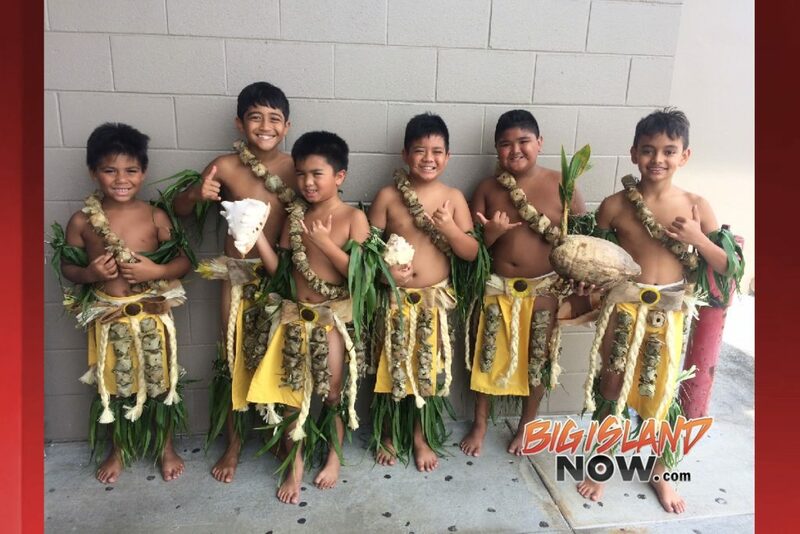 The Edith Kanaka’ole Multi-Purpose Stadium upgrade is the anchor of a $4 million revitalization of the Ho’olulu Complex, which also includes work on the Afook-Chinen Civic Auditorium, Aunty Sally Kaleohano’s Lu’au Hale, and multiple support buildings. On Friday the House honored the Merrie Monarch on the historic occasion of its 50th Anniversary. In the early 1960s the late Helene Hale, along with George Naope and Gene Wilhelm created the Merrie Monarch as a way to attract tourists after a devastating tidal wave and resulting economic downturn. In 1968, the late “Auntie Dottie” Thompson became the Executive Director and inspired by King David Kalakaua’s example brought the best hula dancers throughout the islands to perform in Hilo. Since then the festival has grown to include a parade, art exhibits, craft fairs, demonstrations and performances as well as the hula competition, and has received worldwide recognition for its historic and cultural significance. The Merrie Monarch festival was a cornerstone of the Hawaiian Renaissance of the 1970s and continues to be a catalyst to draw together those committed to the hula and the advancement of the Hawaiian culture. “Auntie Dottie’s” daughter, Luana Kawelu, current President of the Merrie Monarch Festival, was presented a resolution on the House floor in celebration of this momentous occasion. The Merrie Monarch Festival announced that all tickets are sold out for the 2013 Hōʻike, Miss Aloha Hula, Hula Kahiko and Hula ʻAuana shows. Due to the overwhelming volume of requests for tickets, many of you did not receive tickets this year. We send our aloha to you, and appreciate your support of the festival. We wish that everyone could have gotten a ticket. There is a waiting list for returned tickets. But not many are expected, because of the high demand for the 50th year celebration. 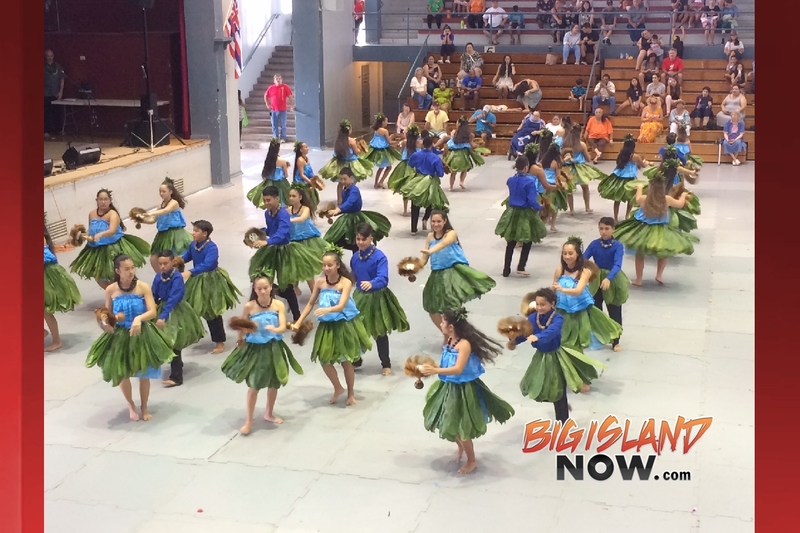 Please watch the KFVE-5 television programs on April 3rd through 6th, including the entire hula competition and the special Wednesday preview, “Backstage: Live at the Merrie Monarch”. Live streaming will be on kfve.com. Videos and daily photo updates on merriemonarch.com. The Merrie Monarch Festival announces that for this year’s upcoming Wednesday Night Ho’ike, Wednesday, April 3, 2013, we will be having a $5.00 charge for admission to the event. The Merrie Monarch Festival Committee is coordinating a special Ho’ike to salute the 50th Celebration of the Merrie Monarch Festival. We have invited some of the original dancers, first Kāne winners and special guests to grace the stage. 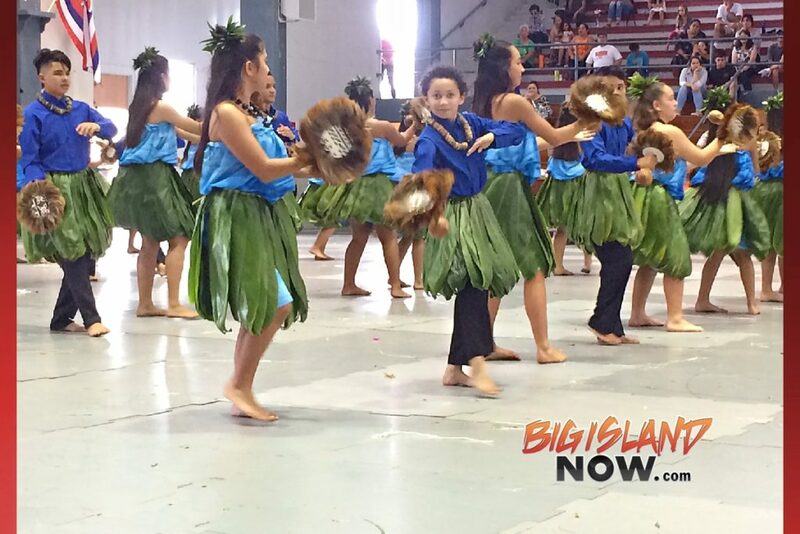 Since many of the performing hālau are from off island and their families (some from as far away as California) want to watch them dance, the committee wants to be fair and give all a equal chance to attend. Ticket mail-in is the fairest way to do this. EACH PERSON MAY PURCHASE UP TO (4) FOUR TICKETS. PAYMENT: Only Money orders and cashier’s checks will be accepted. No personal checks. Please make money order or cashier’s check payable to the Merrie Monarch Festival. Implements of Aloha from Kukui Media on Vimeo. A $1.5 million road resurfacing of Kīlauea Avenue from Ponahawai to Pauahi Street with drainage improvements at Kukuau and Kīlauea began January 2. The County anticipates completion prior to the start of the Merrie Monarch Festival, the world’s largest hula festival, at the end of March. Two lanes of traffic one lane in each direction are provided between the construction hours of 8:00 a.m. to 4:00 p.m. Monday- Friday. Contractors are working along both sides of Kīlauea Avenue. Motorists should expect delays or consider using alternate routes. Parking along the mauka side of Kīlauea Avenue will be restored after 4:00 p.m. on Friday, January 4. Construction will begin on the makai side of Kīlauea Avenue Monday, Jan 7, and on street parking will be removed. Construction on the makai side of the road is scheduled to be completed in three to four days, weather permitting. 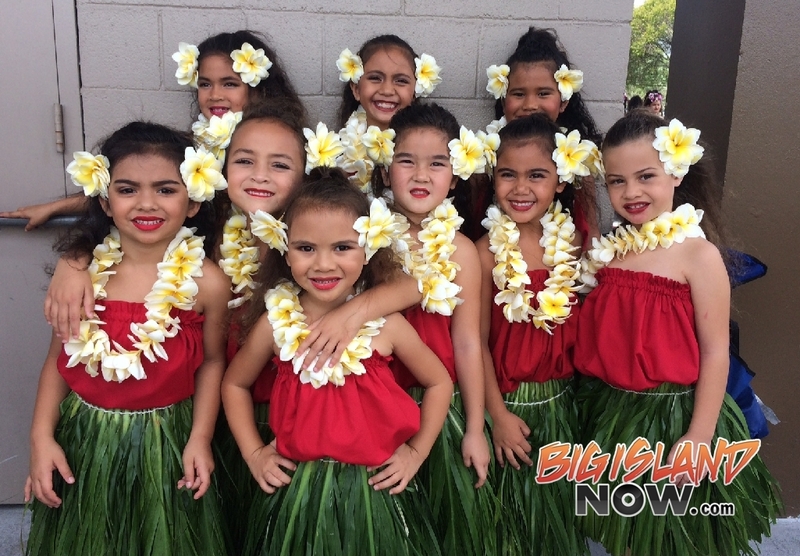 The 23rd Annual Big Island Hawaiian Music Festival (BIHMF) is scheduled for Saturday & Sunday, July 14 & 15, 2012, with twelve hours of entertainment from Noon to 6:00pm both days at the Afook Chinen Civic Auditorium. The primary goal of this event is to honor and perpetuate the Hawaiian culture. The BIHMF features all forms of Hawaiian music including Slack Key Guitar, Steel Guitar, Ukulele and Falsetto with Hula, while providing a unique & authentic experience that honors & perpetuates Hawaii’s culture. On Hawai`i Island, we are blessed with the best Hawaiian musicians in the world, including Slack Key Guitar, Steel Guitar, Ukulele and Falsetto. This year’s theme will be “Hawai`i Island Hawaiian Musicians”. Building on last year’s success, we are planning our biggest and best music festival ever. The addition of Hula to our music festival the last two years really completed our showcase of the Hawaiian. Hula Halaus like Kahikilaulani really added excitement to our festival. But unlike the Merrie Monarch Festival, we feature the musicians who are rarely seen on TV at the Merrie Monarch. In our effort to attract international visitors last year we established the “Japan Connection”. Last year, The BIHMF was featured in a centerfold article of the September 2010 “Hawaii Fan” Magazine, the largest Hawaiian music magazine in Japan, with a distribution of 100,000. The article, written in Japanese, pointed out that our festival has “real” and “authentic” Hawaiian music as opposed to the “Japanese Hawaiian” music in Japan. The names of all of our performers were also included in the article, promoting them and our festival in Japan. Also last year, we tried to arrange a group from Japan to come to our festival and we had six people signed up, until the earthquake. They were all from the Sendai area and had to cancel. This past year, the BIHMF was featured three times in centerfold articles of the Hawaiian Fan magazine, in their September 2011, October 2011 and November 2011 issues. Again, the articles pointed out that our BIHMF is a “real” and “authentic” Hawaiian music festival. We feel that this is important because of the strong support that already exists for Hula in Japan and these articles may help inspire many Japanese to come to our festival next year. This year we received a full page ad on the HFM Back page on both the January and February 2012 issues of HFM. In February they also advertised a to arrange for a group from Japan to come to our festival for a Music Tour and we are exploring the possibility of inviting Japanese musicians who play Hawaiian music at our festival. Again, this year we will continue to focus on Environmental Sustainability by increasing recycling efforts, minimizing waste, using recycled products, providing transportation alternatives and conserving water and supporting alternate forms of transportation to the event. Tickets are available at East Hawaii Culture Center and Big Island Hawaiian Music Festival. The US Navy Guided Missile Frigate the USS Crommelin arrived in Hilo the other day for the celebration of the Merrie Monarch Festival. USS Crommelin (FFG-37), twenty-eighth ship of the Oliver Hazard Perry-class of guided-missile frigates sits in the Hilo Harbor. This morning outside the ship at the Hilo Harbor, Charmaine Shigemura from Mayor Kenoi’s office told the men and “woman” of the USS Crommelin that the County of Hawaii was proclaiming it “USS Crommelin Day”. Charmaine Shigemura proclaims "USS Crommelin Day"
Earlier in this post I quoted the word “woman” as when I asked one of the sailors how many women were on the ship they said just one. When I asked why only one… I was told that they did have six at one point but slowly but surely they move on to other things (just as the men do too). It was also noted that to retro-fit the USS Crommelin so that more women could be on board the ship at all times would be too costly at this point since the Crommelin is scheduled to be decommissioned in October later this year. 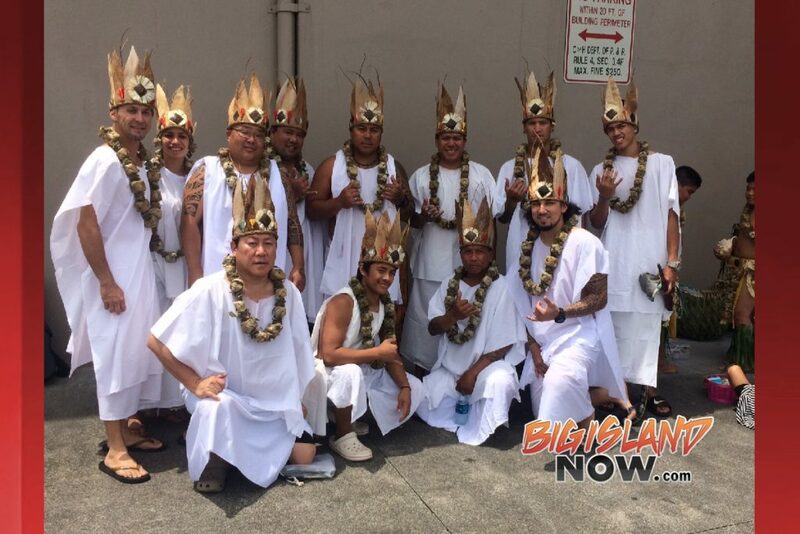 Many of the sailors that were in port last night got to attend last nights Merrie Monarch Hoike performances and the sailor that I talked to said it was something he will never forget. Today, the Merrie Monarch Royal Court was on hand as this basically was a cultural exchange between the people of Hawaii and the members of the US Navy. Gifts were exchanged between Rear Admiral Frank Ponds and the Royal Court. The sailors were treated to a little Tahitian dance themselves! Ok… the best part was when some of the sailors got called out to dance with the Tahitian dancers. One sailor got to pick and choose who he wanted to have dance with the dancers and I could see big smiles on all the sailors faces as he was calling out names. Ok… this does it for me… this reinforces the fact that some folks just don’t know how to dance! Can someone please tell me what the white sailor is doing in this video? After the entertainment, the members of the Royal Court were invited onto the Crommelin where a couple more small speeches were given. Then the guests of honor were treated to lunch at the back of the ship which consisted of fruits, vegetables, spring rolls, kalua pig, bacon wrapped prawns and of course cake! Out of all the sailors aboard the USS Crommelin I was able to ask around and find the one and only sailor on the ship that was from Hawaii and he’s actually from Waianae on Oahu and he had this to say about his time in the Navy. After lunch, tours of the ship were held for the Royal Court, members of their family, the entertainers and the general media. I wish it wouldn't have been cloudy. This would have made for an interesting picture with Mauna Kea in the background. I have heard that many of the sailors were going to go visit veterans at Yukio Okutsu Veteran’s State Home later this afternoon while others are going to enjoy their time in Hilo. The Crommelin is scheduled to depart Hilo on Sunday and return to Pearl Harbor and with it’s pending decommissioning… this will be the last time that the Crommelin is in Hilo. A cool little Merrie Monarch cake! I’d like to personally thank Ensign Tyler Sharp for welcoming me aboard the ship and making me feel welcome amongst some of America’s Finest. Mahalo for your hospitality Ensign Sharp! Waimea Artists’ Guild (WAG) is proud to announce its participation in a very special event: Merrie Monarch 2012 Invitational Hawaiian Arts Fair, April 11-14 in Hilo. WAG artists will exhibit and sell their work from booth #106 in the Butler Building, 648 Pi‘ilani Street. In an unprecedented opportunity to connect with hula practitioners and aficionados from all over the world, WAG artists will present indigenous and contemporary works including prints, cultural jewelry, traditional wood and bone carvings, feather work and much more. Many of the items are created in the Waimea Artists’ Guild workspace, a public studio for classes and workshops, with equipment and resources available to members. Featured artists participating with WAG at the Fair include acclaimed Native Hawaiian artist Harinani Orme and Tom O’o Mehau. Harinani, born and raised in Honolulu, has a Bachelor of Fine Arts degree from UH Mānoa and a Master of Fine Arts degree from the Pratt Institute in New York. Currently, her works focus on the myths, legends and traditions of old Hawai`i, and though she is known primarily as a fine arts painter and a book illustrator, she also creates artwork in mixed media and is a printmaker, a ceramicist and a jeweler. Tom Mehau, an artist from the Kamoku-Kapulena Hawaiian Homestead area of Hawaii Island, holds a Bachelor of Arts degree from the Colorado College in Colorado Springs. He is best known for his highly detailed pen and ink renderings, some of which can be seen in P.F. “Ski” Kwiatkowski’s book The Hawaiian Tattoo. Most recently he has transitioned into small-scaled carving under the tutelage of Maori Master Carver Stacy Gordine. His attention to line, form and detail has extended smoothly into this new medium. He is the co-founder of the Waimea Artists’ Guild, an association of professional artists whose intent is to produce art and promote education in their community. Hawai‘i Volcanoes National Park will celebrate the 48th annual Merrie Monarch Festival by offering Park visitors free ‘Ike Hana No‘eau (Experience the Skillful Work) Hawaiian cultural programs and live Hawaiian music Wednesday through Friday, April 27 – 29. Keiki Hāliko and Hi‘ilei Hauanio wearing lei. Shiinoki and create your own ‘ohe hano ihu, or bamboo nose flute. Singer/songwriter Rupert Tripp, Jr. will also perform. When: Wed., Apr. 27; 11 a.m. to 2 p.m.
dancers, in healing and sacred rituals, and much more. Lei can be made from many items, including leaves, flowers, shells and seeds. When: Thurs., Apr. 28 and Fri., Apr. 29, 11 a.m. to 2 p.m.
original songs from his solo albums, The Dash and Makuakāne. When: Thurs. Apr. 28 and Fri. Apr. 29, 11 a.m. to 2 p.m.
Ranger Jason Zimmer as he shares his knowledge and skills in making a cape, or better yet, try your hand and add a few leaves to the cape. When: Thurs. Apr. 28 and Fri. Apr. 29, 11 a.m. to 2 p.m.
It’s kind of cool our police department at least warns folks when they are going to be having DUI Checkpoints. Those that get nailed during these times are idiots. Well those that drive drunk are idiots to begin with. This Friday, Good Friday, kicks off a three-day holiday weekend. Driving under the influence of alcohol presents a potential danger to every motorist, passenger and pedestrian that driver encounters. So far this year, Big Island police have made 404 DUI arrests. Police remind the public that the County of Hawai’i Mass Transit Agency maintains a Shared-Ride Taxi program year round. Every individual is entitled to buy subsidized taxi coupons for as low as $2 each and use them with participating taxi companies. For details, call 961-8744 or visit www.heleonbus.org/shared-ride-taxi-program. So far this year, there have been eight traffic fatalities on the Big Island. Those crashes ended the lives of eight individuals who never imagined they wouldn’t reach their destination. Please do your part to keep our roads safe. Always remember to have a designated sober and licensed driver before you start drinking. If you don’t find one, don’t take a chance—take a taxi. For full details, go to https://local.nixle.com/alert/4680914/?sub_id=329893. The concert is a one-and-only chance to preview the halau’s entire Merrie Monarch 2011 presentation, Miss Aloha Hula, Kahiko and Auana, all in one evening. Dancers from every class will perform. Special surprise guests are also highly anticipated. Uncle Babe Bell will blow the Pu (conch shell). The music will be presented by Hui Waianuhea o ka ‘Awapuhi, with Na Hoku award-winning musician and kumu hula, Manu Boyd, and friends Glen Smith, Richie Heirakuji, and Kala‘i Ontai; and Dennis Kamakahi, Anuenue Punua and Mahina Paishon Duarte. Kumu Hula Victoria Holt Takamine will present dancers from her Pua Ali‘I ‘Ilima halau. This concert is the preview of Halau Mohala ‘Ilima’s 33rd consecutive presentation in the Merrie Monarch Festival in Hilo. Kama‘aina and malihini from all over the world will enjoy the wonderful feeling of being grounded and connected, to the cultural wealth and pure enjoyment of true Hawai‘i. Tickets are $25 and $35 at the Hawai‘i Theatre Box Office. Call (808) 528-0506, Tuesday through Saturday, 9 a.m. to 5 p.m., or order online 24 hours a day at www.hawaiitheatre.com. For more information on the halau, please visit http://web.mac.com/halaumohalailima/HMI/HMI_Home.html. Moku O Keawe International Festival returns November 4-7 with cultural workshops, international hula hālau, and the opportunity to see Kumu Hula O’Brian Eselu and the men of Ke Kai O Kahiki on the big stage at Waikoloa Bowl. The fifth annual comprehensive, colorful and creative celebration of hula takes place November 4 – 7 at Waikoloa Beach Resort. The Festival brings kama‘āina, visitors and international participants in a four-day schedule with entertainment, hula competition, cultural workshops, island marketplace and closing with the Hō‘ike Night performances. International competition, Thursday-Saturday, November 4-6, Waikoloa Bowl at Queens’ Gardens. 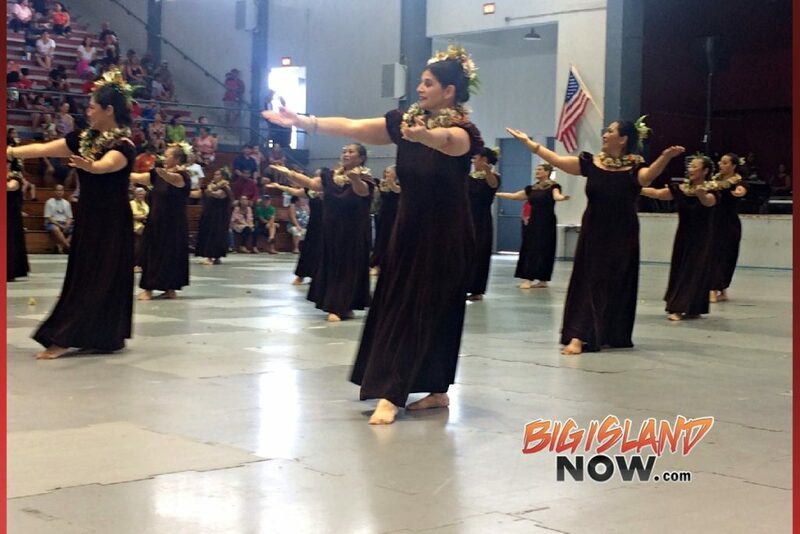 Moku O Keawe brings together hālau from Japan, the U.S. Mainland and Hawai‘i in a hula competition in Kupuna, Hula Kahiko and Hula ‘Auwana group and solo divisions. Experience Moku O Keawe this year with great ticket prices: $5 Lawn seating, $10 Reserved. · Kahiko competition, Thursday, November 4, 6:00 p.m.
· Kupuna competition and awards, Friday, November 5, 6:00 p.m.
· ‘Auwana competition and awards, Saturday, November 6, 6:00 p.m.
Hawaiian Cultural Workshops. As masters of hula, the judges of the competition are asked to share their knowledge through workshops. The insights and experiences from each kumu hula is offered on a personal basis, allowing participants a unique opportunity. In both hula kahiko and hula ‘auwana, the various lineages of the kumu hula are unique forms in style, repertoire, and interpretation. There are also opportunities to learn how to make the ipu heke, the standard implement providing the percussion to the dance. A unique opportunity this year will be the excursion to Mahukona where the student will be taught a hula written for that beautiful site. Education continues to drive the Moku O Keawe Foundation and it is with these classes that the knowledge from one school is shared with another. Nalani Kanakaole, Howard Ai, Uluwehi Guerrero, and Kaleo Trinidad are the judges for this year. Registrations for the classes are limited. Applicants are urged to register early as spaces are limited and students are urged to register early by visiting www.MOKIF.org. Hawai‘i Marketplace. Friday and Saturday November 5 and 6, 8:00 a.m.-5:00 p.m. at the Waikoloa Beach Marriott Resort & Spa. The unique Made-In-Hawaii Marketplace features some of the best products from the Island of Hawaii. Hula implements, fresh lei, silk-screened clothing, woven lauhala hats and purses, and jewelry, are some of the offerings at the special marketplace. Hō‘ike Night. Sunday, November 7, 6:00 p.m., at Waikoloa Bowl at Queens’ Gardens. An important facet of a hula lesson is the public performance as it then brings the student in front of an audience to showcase what was learned. Moku O Keawe is delighted to share the students of the hula workshops in the Hō‘ike. Also featured at the final night of the event is a very special appearance by Kumu Hula O’Brian Eselu and his men of Ke Kai O Kahiki. The hālau has garnered many awards in the Merrie Monarch Festival and has often walked away with the trophy for the overall winner in the most prestigious competition of hula. Tickets for Hō‘ike Night are Lawn seating $10, Reserved $20.